Twenty years ago, the healthcare marketing landscape looked dramatically different than it does today. Print, some TV or radio spots and occasional billboards were pretty much the entire menu of advertising options. Online marketing strategy was a thing of the future. For most industries today, the digital advertising possibilities are practically limitless. Digital marketing for healthcare brands is not quite so simple, with limitations by HIPAA and other federal health care laws. Even so, pharma, biotech and other healthcare companies are finding creative ways around it, like unbranded marketing. Healthcare brands are exploring and innovating in the digital marketing space. But most are still far behind the curve of other industries. Today’s patient is more informed than ever. In fact, a Google Think study found that when choosing healthcare providers, 94% of patients considered the reputation of the facility. And how did they evaluate their choices? Patients turn to search engines and hospital websites 50% more often than doctor referrals when making healthcare decisions. 61% of patients viewed more than two hospital websites prior to selecting their facility. 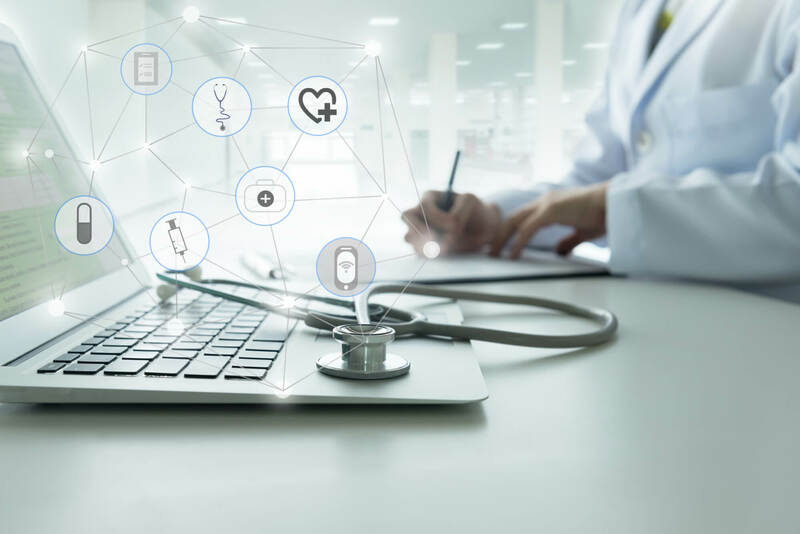 To compete not only for mindshare among patients, but also trust, healthcare brands must establish a reliable reputation and connect with patients online. So what is the best way for healthcare brands to optimize their digital marketing efforts in today’s climate? Read on to learn more who is being innovative in healthcare digital marketing. There are many different digital options open to healthcare marketers. 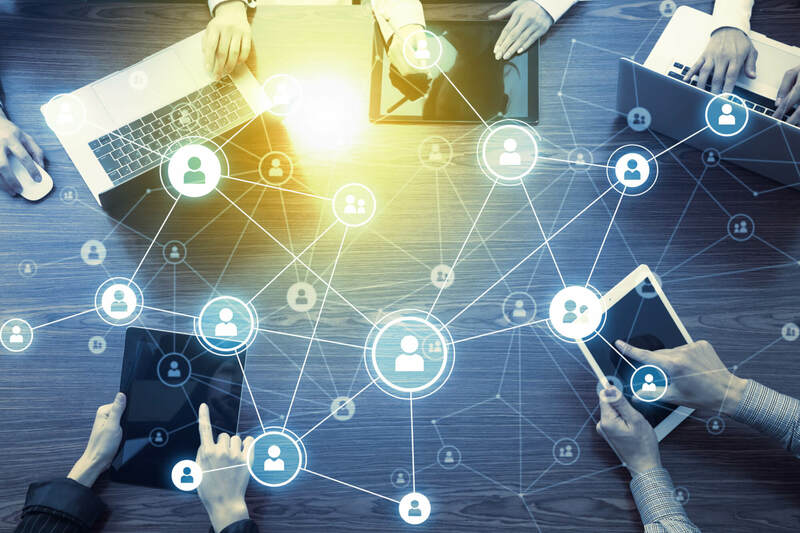 Some are more heavily regulated than others, but each provides a unique benefit to healthcare brands looking to connect and engage with consumers. 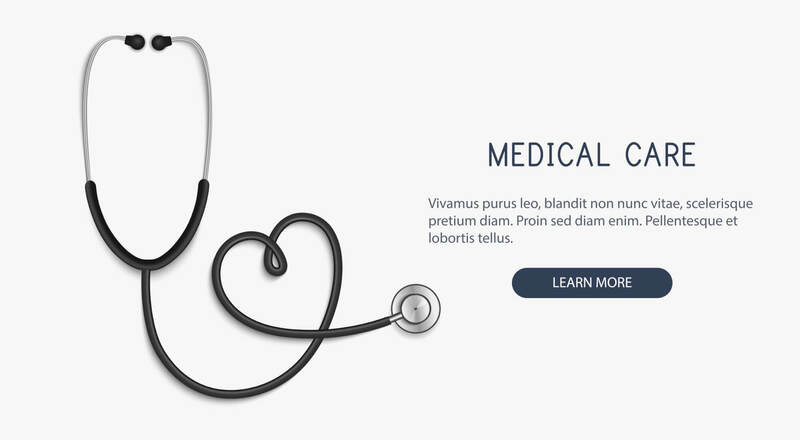 It goes without saying that every healthcare brand needs a website. Not just any website either. More than any other industry, healthcare brands need professional, well-maintained sites. People are literally putting their lives in your hands–and they won’t (and shouldn’t) trust you for that if you don’t demonstrate meticulousness and excellence in everything you do, website included. Healthcare websites can be used for a variety of strategic marketing efforts, including content, community resources, case studies, testimonials and storytelling. Many pharma brands choose to have multiple sites for the same drug, with one serving consumers and the other serving HCPs. Many healthcare brands, like doctor’s offices, hospitals and other healthcare groups are very regional in their marketing needs. Luckily, today’s digital offerings provide a plethora of location-based digital marketing for healthcare brands to utilize. Paid Search – all the top search engines offer geo-targeting. Healthcare marketers can narrow in on a state, county, town or zip code. 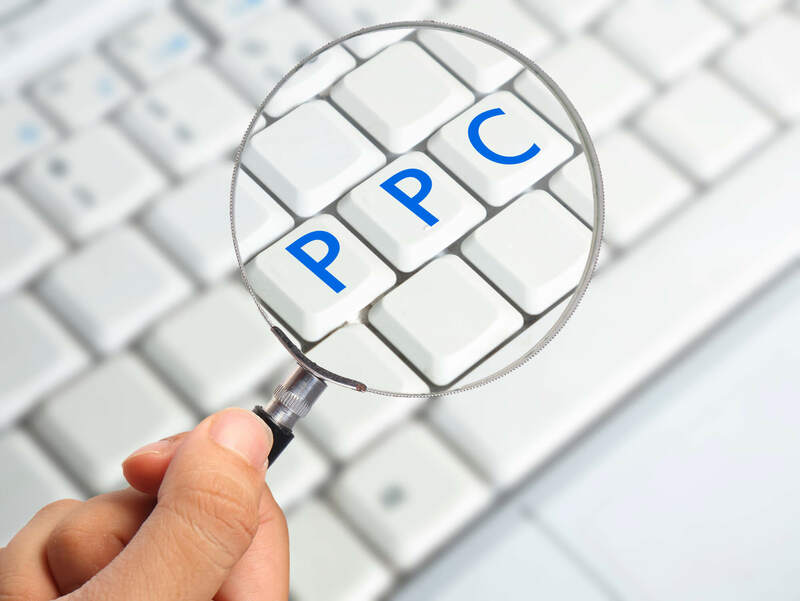 Combined with specific keywords, paid search offers a precise way of reaching the right market, while they are actively in the decision process. Third-Party Apps – Nontraditional apps like Waze offer an uncluttered, yet impactful opportunity to position HCPs within their local market. Healthcare facilities can subtly add their logo or callout on a map while people are using the app, complete with an ad when people drive by. Geo-Fencing – Healthcare brands can set up a perimeter around a specific building, like a tradeshow or conference center for targeting specific diseases; the path of a marathon to promote a chiropractor, physical therapist or anti-inflammatory manufacturers; or your own facility to promote patient follow-up. Once phones cross this perimeter (with their bluetooth activated), brands can serve them targeted mobile ads. Studies prove that paid search works in the healthcare space. 77% of patients use search prior to booking an appointment. 35% of patients search for more information after viewing a paid search ad. When searching for a hospital or healthcare provider online, the majority of patients begin searching with non-branded terms, like symptoms or diseases. This is the same for early searches across all categories. However, prior to making a decision, nearly half of searchers switch to a branded search, investigating information about the facility or provider directly. This demonstrates the benefit of building campaigns around both branded and unbranded terms. Unbranded campaigns should focus more on education and awareness, while branded campaigns should focus more on specific benefits. Brands are engaging in countless effective and creative marketing strategies on social media. This channel offers the ability to connect and converse with patients, educate consumers and build brand awareness like no other. One of the most powerful social media marketing strategies for healthcare brands is storytelling. Brands are realizing that traditional marketing isn’t resonating as it once did. So healthcare brands are looking for more impactful ways to engage with patients. As with any industry, the healthcare industry is embracing the power of emotion-based marketing through patient stories. Social media offers the unique opportunity for brands and consumers to tell ‘their’ story. Short, punchy videos that stir emotions – whether its joy, grief, pride, anger or fear – are tailor built for social media. These patient story videos change the conversation, making it about the patients, not the brand. Social media helps to spread them virally, building cache and awareness as they disseminate. Producing digital marketing content for a healthcare brand generally falls in two categories: 1. Content found on their website in the form of blog posts, videos, infographics, white papers, downloadables, etc., or 2. Unbranded content, generally found on ‘third-party’ websites or channels that does not directly mention the brand. Generally accessible on the healthcare brand’s website, organic content here is subject to regulation from HIPAA and must be approved. As a result, this may not look like a traditional blog. But that doesn’t prevent pharma and healthcare companies from publishing great content. Things like fact sheets, manuals, consumer guides, FAQs, patient stories and industry articles are all traditional content that works well on brand websites. The pharmaceutical industry actually leads the movement towards unbranded content. Publishing unbranded content by pharma, biotech or other healthcare brands is a much more flexible way to educate consumers and patients about a disease or condition. By creating a separate website, social community, app or other unbranded space to communicate, healthcare brands enable themselves to have more real, unguarded conversations with consumers. As they are mostly unregulated by the FDA, these unbranded content marketing platforms represent a perfect way to reach patients when they are in the information gathering stage. Since they focus on symptoms and diseases rather than specific solutions, brands are able to work around Federal restrictions. Other benefits of producing unbranded content sites include capturing leads, driving patients to favored HCPs and generating more viral, shared content. There are so many different ways to tackle healthcare digital marketing, depending upon your goal and market segmentation. Here we highlight a few of the most recent standout healthcare digital marketing campaigns. Northwell Health recently won a silver Healthcare Marketing Impact Award for its website, The Well. The Well is a branded content site that focuses on building a stronger, more engaged relationship with consumers. Their objective was to position Northwell as the place to turn when a health event happens. Unlike traditional content, everything on The Well pushes the envelope. It utilizes rich media and high impact visuals – ideas not normally associated with healthcare. Digital marketing content on The Well spans a variety of tactics, including short videos telling success stories about patients. Long format articles, averaging 1000 words, but also pushing boundaries with a 13,000 word essay series. Their content embraces a more lifestyle focus. Sections such as “Ask for a Friend” answers all the questions that consumers are too scared to ask, like “ why do my balls hurt?”, “why do I pee when I sneeze?” and “what’s the deal with cold sores?”. These unexpected topics not only differentiate Northwell Health, but also are eminently shareable in the social space. No one is doing content like them, and it shows. This gives them a leg up on organic search, as well as social media marketing. Another award winning healthcare digital marketing campaign focuses on educating women about osteoporosis — and the fact that it is not an “old lady” disease. The mission of the “Fractured Truth” campaign was to break misconceptions about osteoporosis and provide real facts to compel women to be more proactive about their health. Utilizing multiple digital marketing channels, such as a campaign microsite, Facebook page, programmatic digital ads and social media ads, the Fractured Truth campaign shocked women into action. The results were clear. The Fractured Truth page became one of the fastest growing pharma pages on Facebook in 2017. Its first post was shared 800 times, earning 6,000 likes and a later post generated more than 8,000 reactions and 5,000 shares. As of when they won the Shorty Award (social media advertising awards), more than 157 million people had viewed the campaign. UCHealth sets itself apart using amazing storytelling. They are intentionally leveraging patient stories to transform themselves from a “healthcare brand” to a “patient-focused lifestyle brand”. After a year and a half of research, UCHealth began a revolutionary new digital marketing campaign focused solely on telling the stories of their patients. In fact, none of their patient stories even mention UCHealth, yet the end result is viewers associating the positive emotions from the patient stories with the hospital. An excellent example of successful healthcare digital marketing through unbranded content would be the #Unfriend Chronic Migraine campaign. The entire site is built around assessing your migraines, learning how to live with migraines and finding treatments for migraines. You know who sponsors it? Allergan, makers of Botox. Botox is mentioned nowhere on the site, nor alluded to. One call to action button links consumers to a preventative treatment option, taking them off-site to Botox’s migraine prevention page. They also have a companion migraine site for HCP, dedicated to educating prescribers about how to diagnose migraines, different types of treatments and documentation materials. Without a doubt, navigating the latest and greatest online marketing opportunities is a complicated endeavor. Add in the hurdles unique to the healthcare industry and producing a creative campaign just seems impossible. Partnering with an agency experienced in healthcare digital marketing would be the right call. Contact CMDS at 732-706-5555 or email info@cmdsonline.com to talk to a healthcare digital marketing strategist about your next opportunity.